Working on electrical systems requires maximum safety: providing insulation tapes, specific for electricians, is essential for working in peace. All Tesa insulation tapes are of high quality and meet international safety standards. 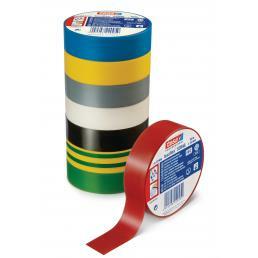 Tesa insulating adhesive tapes for electricians are designed to guarantee maximum safety in every phase of the work. They are all designed for electrical insulation, and are produced in flexible and self-extinguishing PVC: they have a high adhesiveness, can be used both at low and high temperatures and guarantee maximum protection up to 5000V. 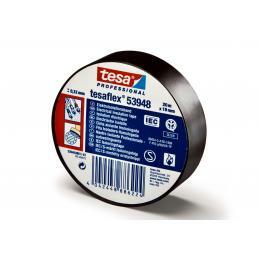 An insulating tape sold and appreciated by those who work as an electrician is the Tesa insulation tape: it can withstand temperatures up to 105 degrees centigrade, has a resistant film support and has a water-based acrylic adhesive with low impact environmental. The polyester fabric insulating tape is also reliable and highly professional, also ideal for wiring work. It resists temperatures up to 125 degrees Celsius and resists abrasion: it can be easily cut by hand, to speed up work, and is one of the first choices for those working in the automotive field. Tesa insulating tapes available in the Mister Worker™ catalog comply with the CEI and IMQ safety standards: they resist fire, abrasion and aging, and are among the best insulating adhesive tapes on the market.